You don't have to perform a complete remodel to update your kitchen or bathroom. There are ways to remodel that cost less and don't require the services of a professional. A new coat of paint is one way to add freshness to the bathroom and kitchen, but there are other things you can do to modernize these rooms. 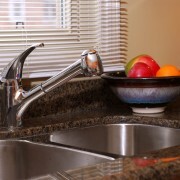 Install new faucet fixtures to replace old and rusted ones. You'll be surprised at how much better your sink and tub appear after adding updated versions. Consider nickel, a newer metal finish, if you're tired of chrome. Zen-style faucets in which the water runs through an open tunnel into the sink provide an exotic touch. Replace an old medicine cabinet or mirror with modern ones. A large frame surrounding the mirror on a medicine cabinet provides an old-fashioned feel. 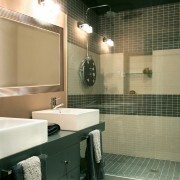 You can also update the lights over the medicine cabinet to match it and the mirror. 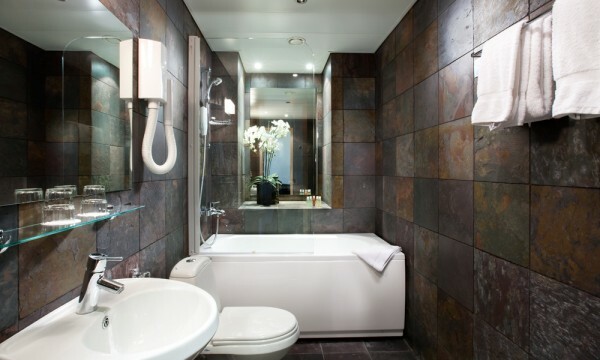 Re-glazing a tub is an inexpensive way to update the bath without installing a new one. You may need the services of a professional for this job, but re-glazing is normally less expensive than buying and installing a new tub. Refinish the front of your cabinets. 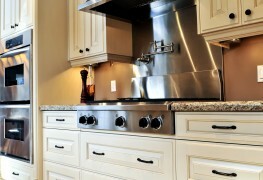 Cabinets are one of the most expensive items in a kitchen. If you like the style of your current cabinets, you can update them on a budget by refinishing the front of the cabinets yourself. Remove the cabinet doors, sand off the worn out surface and apply a stain of your choice. Sand and stain the areas between the cabinet doors as well. If you want to add colour to the cabinets, use stain instead of paint. 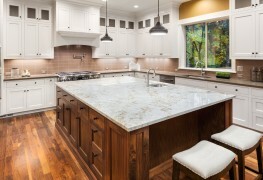 Add an island to the kitchen to increase storage and work space. Purchase two or three unfinished cabinets and install them in your kitchen side by side. Paint or stain the cabinets and add a counter top. If you prefer a granite counter top, you'll need to hire professional installers because of the weight and the need for precise measurements. Add a new back splash. A back splash adds colour and spruces up areas that may appear drab. It costs less than updating a counter top and you can easily learn how to perform the job through online videos. Change out the cabinet hardware for a new and interesting look. 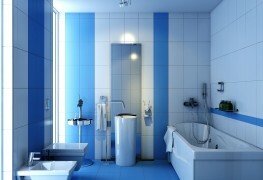 There are many other simple ways to update a bathroom or kitchen. Adding new rugs and a shower curtain to a bathroom is an easy way to change the look. 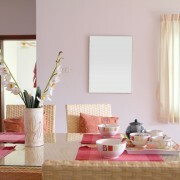 Transform the kitchen with colourful curtains or new light fixtures. Don't let a small budget stop you from updating.